If you’re judging me at this point for wanting to visit somewhere because of Instagram then this post probably isn’t for you. I have a long post waiting in the wings about why Instagram research is very valuable before visiting places, but for now back to Elan. 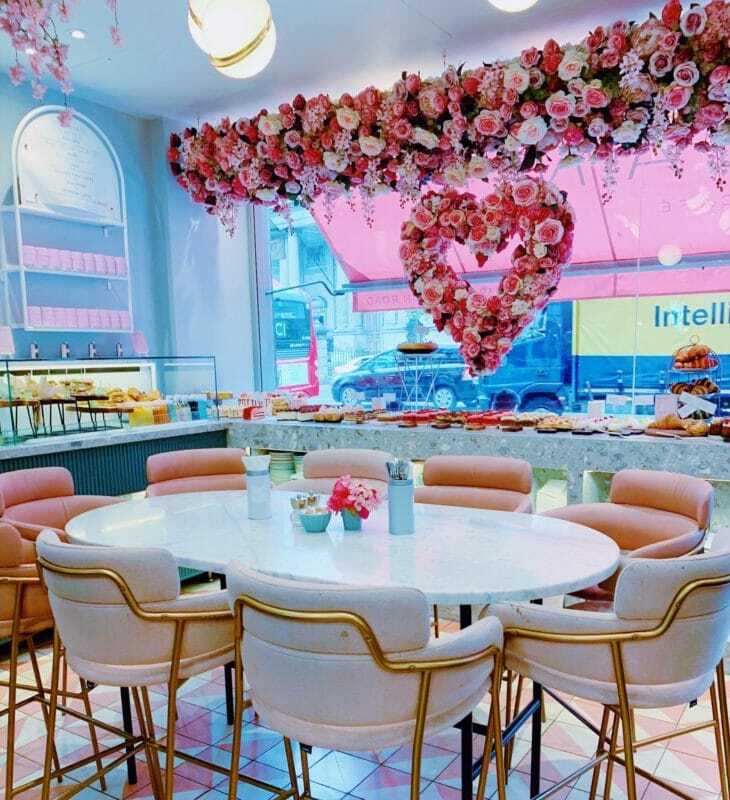 It is the most adorable little cafe chain you can possibly find in London. 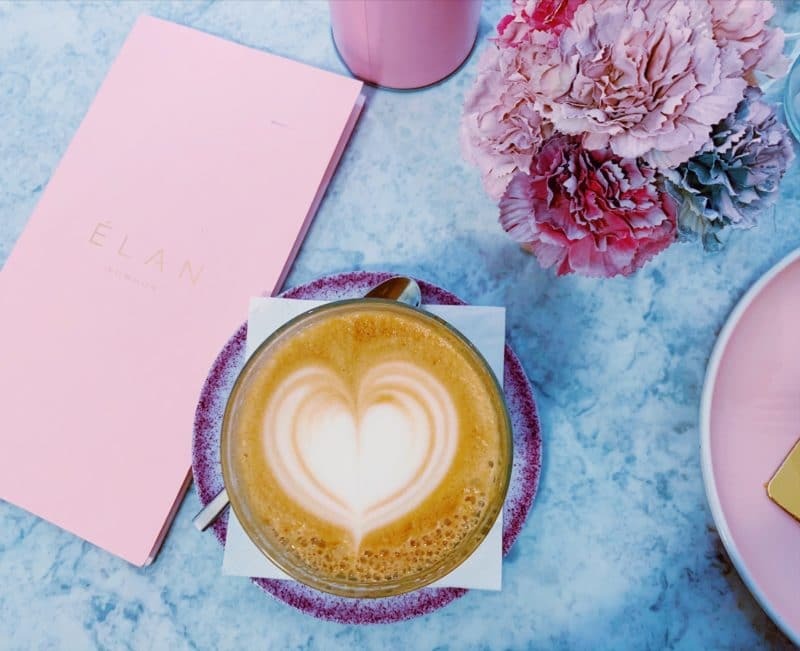 They have a number of locations, including the recently opened pop up in Selfridges on Oxford Street, Brompton Road Knightsbridge, Park Lane Mayfair, Oxford Circus, and from December you’ll also find them on Hans Crescent. 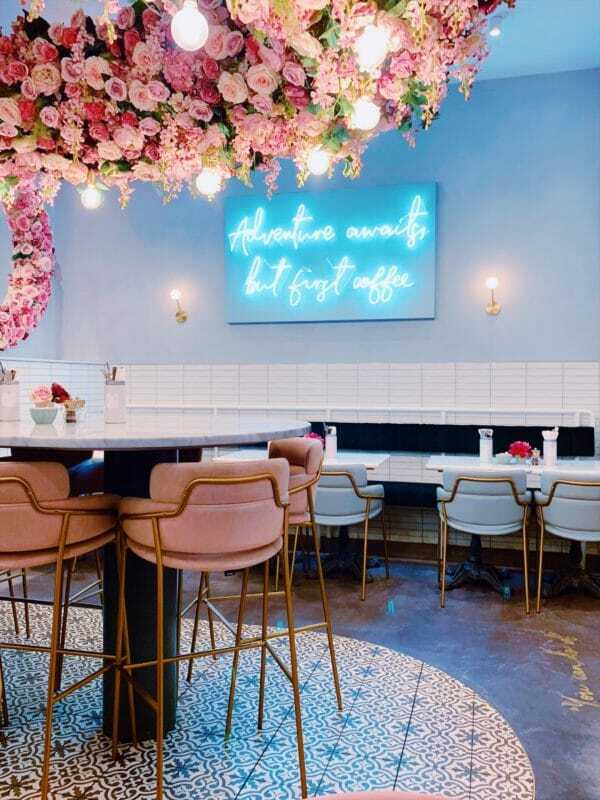 Your first impressions are likely to be the same as mine, it’s pink, it’s cute, it is filled with flower walls and neon signs…it’s worth a visit regardless. But like a lot of these places that keep up their fabulous appearances, there’s often a lot more to them than just that. There’s nothing worse than going somewhere because it looks pretty but then being disappointed by the quality of the food or service, and believe it or not I’m not superficial enough to think otherwise. 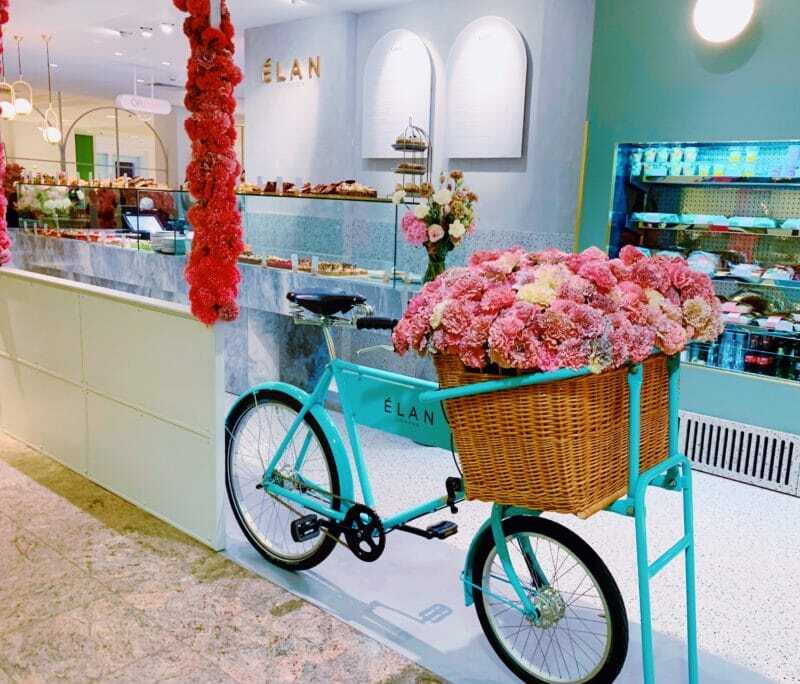 I’m pleased to say though that there is a lot more to the Elan concept than just pink flowers. Their website describes them as ‘distinctive, stylish elegant and impulsive’. 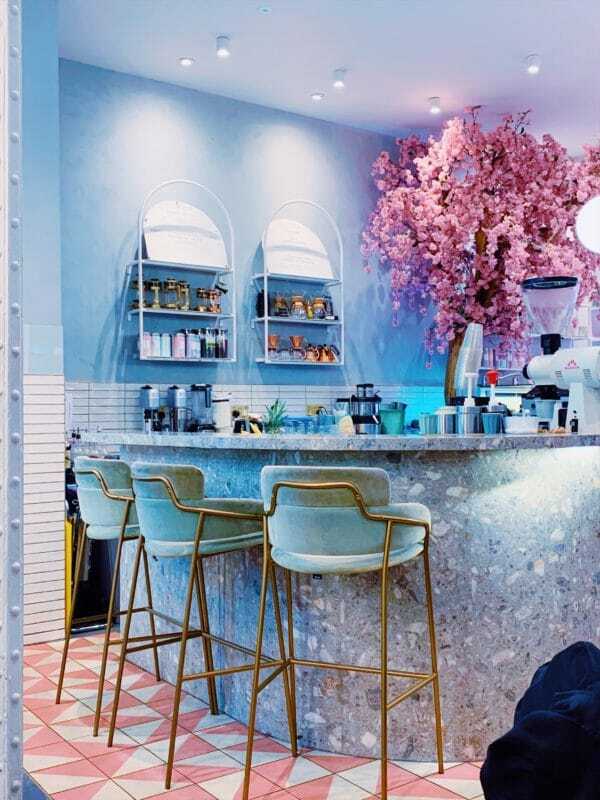 I’ve been to two of their locations, the Brompton Road branch for an early breakfast, and the Selfridges cafe for a late night coffee and I would agree that they deliver that across the board. They aren’t a novelty, they’re an experience. 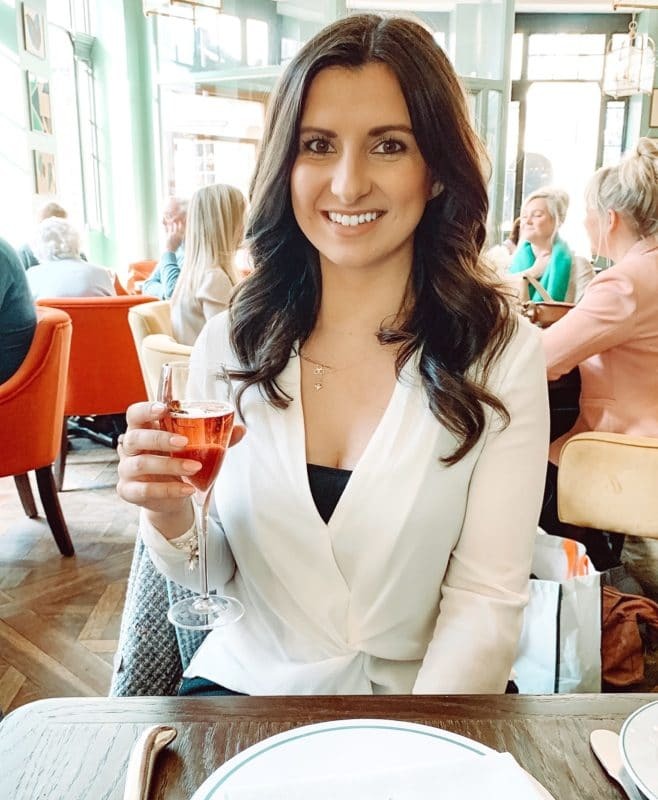 The staff are welcoming and friendly, and despite the clientele definitely not being short of a penny or two, they treat everyone like a long lost friend and are keen to get you sat and relaxed quickly. I’ve never really thought of cafes as a luxury experience, but that is what it felt like. You could go in your trainers and gym kit, or dressed up with the girls and neither would make you feel out of place. 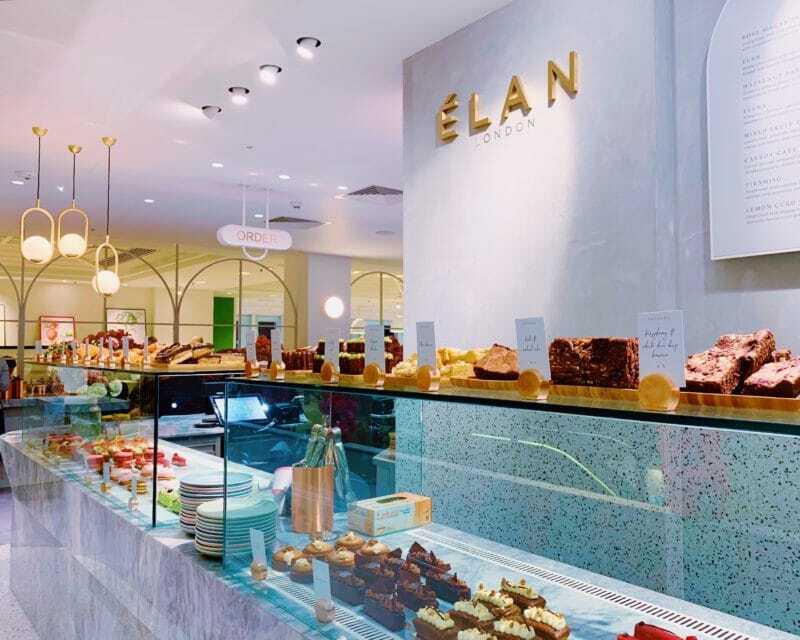 Their specialty is their coffee, which is at the heart of their vision for the brand. The coffee menu was extensive and would satisfy any seasoned coffee drinker, and was served in the most stylish of ways. 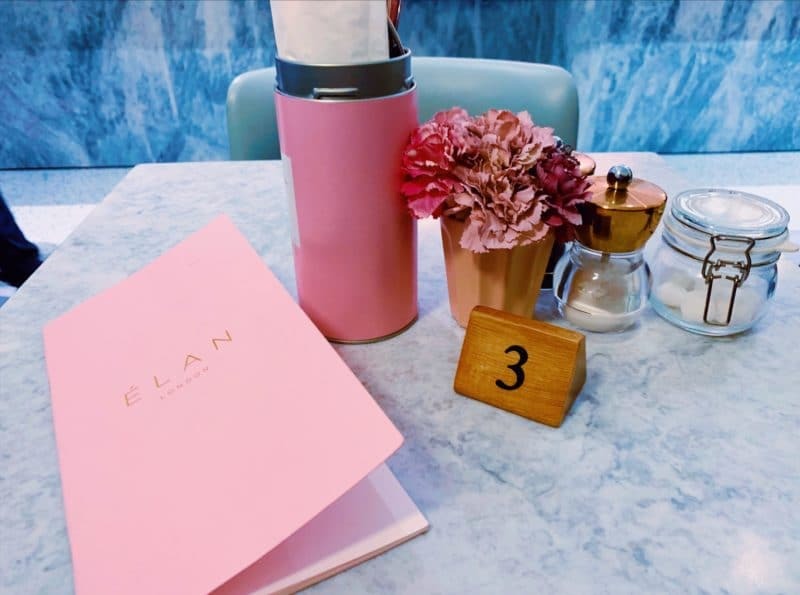 As well as the standard menu, they have some quirky hot chocolates including a chilli or praline blend, a full range of teas, smoothies, and fresh juice. Of course alongside coffee you have to have cake. 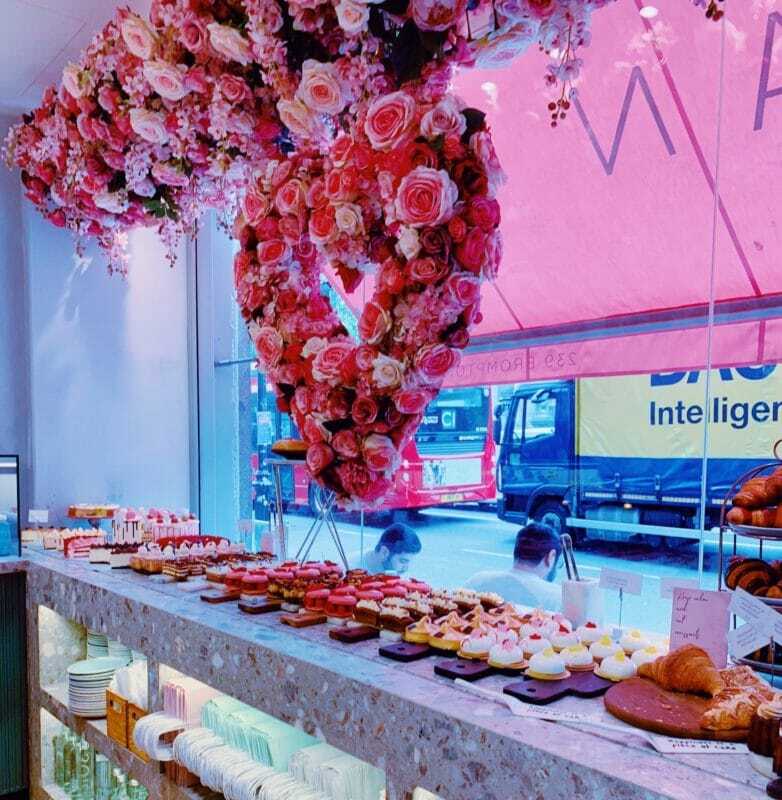 The carefully created, cakes, patisseries and treats that line the counters and windows depending on which one you visit taste as good as they look. 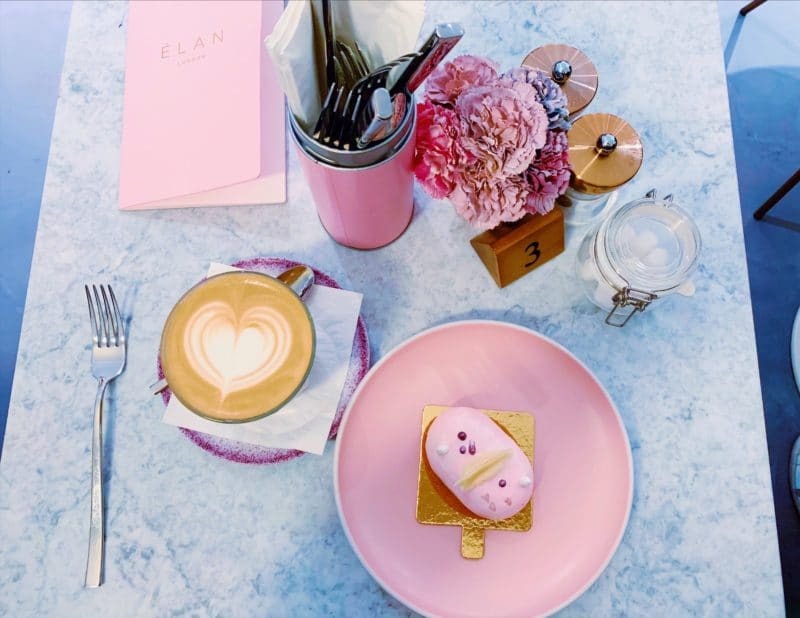 I tried the Elan signature pink sponge and it was delicious, without being too sickly. 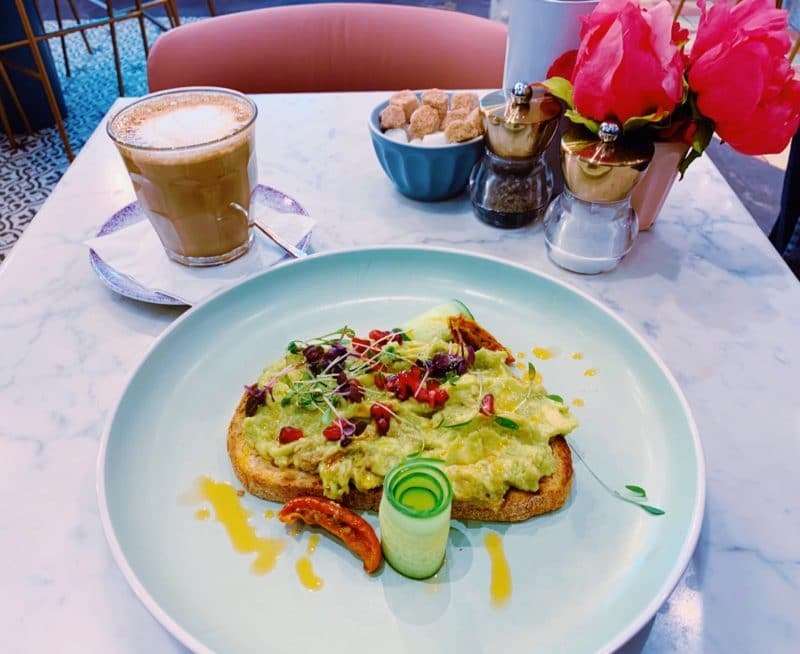 For brunch, expect all your favourites on the menu, eggs, muffins, avocado on toast, open sandwiches, cooked breakfast plates, and some healthier options like acai bowls, fruit bowls and porridge with various toppings. I know it is so basic, but I had to go for the avocado on toast. Compared to some of the disasters I’ve had of this in London this one was really good. It wasn’t too mushy, the bread wasn’t too hard, and I really enjoyed the pomegranates on top too. On both of my visits at opposite times of day the cafes filled up pretty quickly, but it wasn’t a problem getting a seat, and I didnt at any point feel rushed. 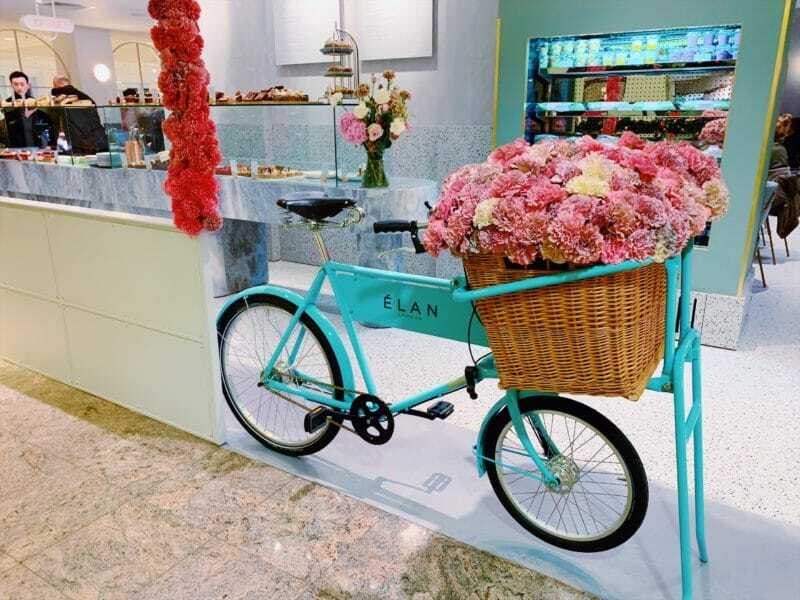 There were a total mix of people in there, from the instagram fashion models posing next to the flower walls, to groups of guys having coffee, couples spending some time together over brunch, and friends catching up. 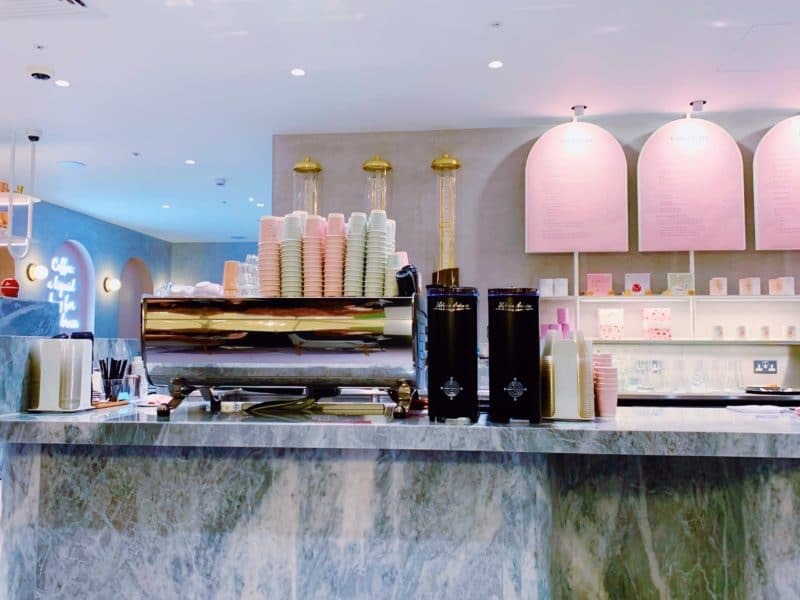 Luxury cafe is definitely the way I’d describe it, and everything about the cafes is perfectly aimed to fit this niche and creative, yet despite being a chain each one felt completely different and unique. If you’re visiting London, absolutely get yourself along, it’s a lot more than just insta-worthy! Itinerary: How To Spend 3 Days In Paris! OMG I can’t wait to read your Instagram research post! I’m such a fan of researching everywhere on Instagram before I travel, I can’t imagine planning any other way now! 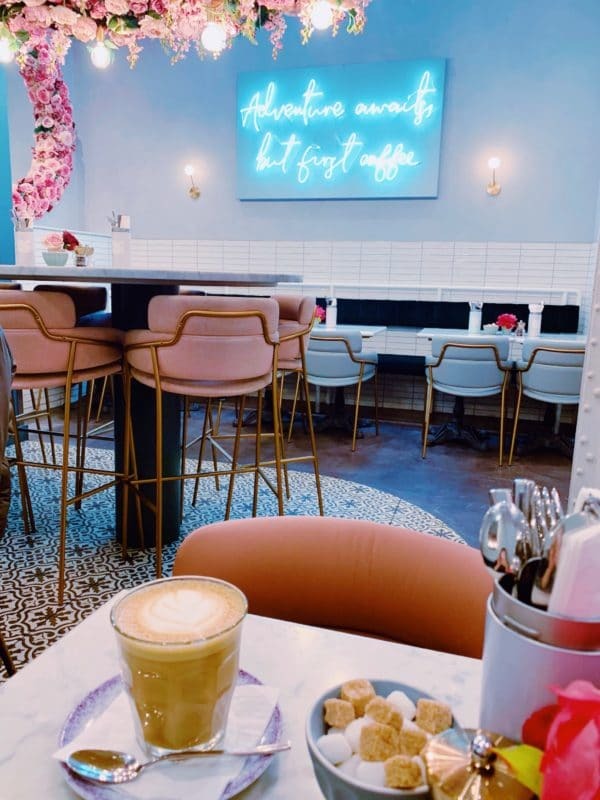 I haven’t been back to London since Instagram got huge so I’m a little worried I’d spend an entire day running from one instagrammable cafe to another, getting angry when each place is over crowded.